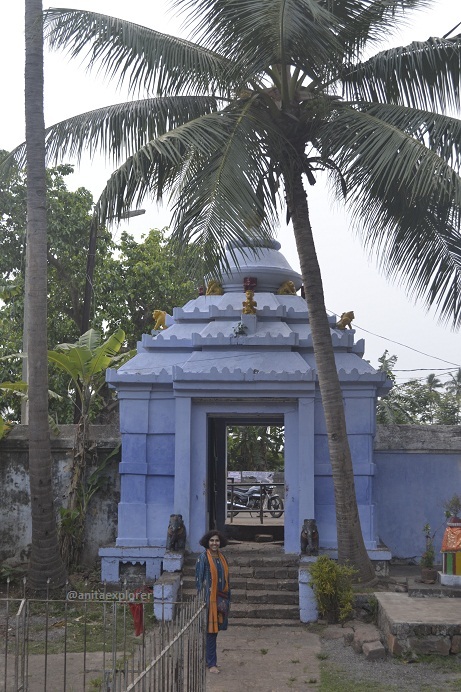 Nirmala Jhara is located about 120 kms from Bhubaneswar and 6.5 kms from NH-5. It is about 60 kms from Berhampur on the State Highway from Berhampur to Khallikote. 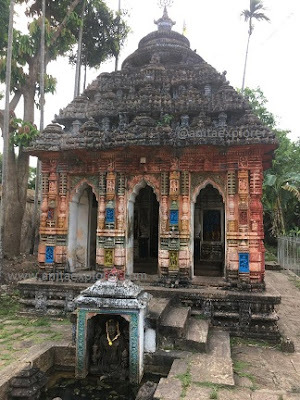 In 1676, Raja Aparajita Sri Balukeswar Mardaraj, belonging to the Mardaraj dynasty of Khallikote, constructed the temple. He was the "most popular and unconquered king of the Maradaraj Dynasty". 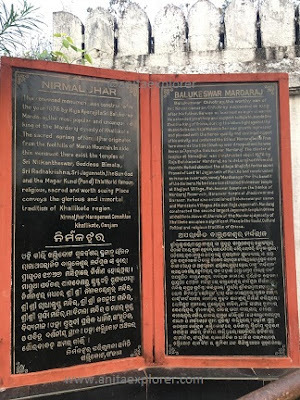 The name of the place 'Nirmal Jhar' or 'Nirmala Jhara' has been derived from two words- Nirmal/Nirmala that means 'Clean/Pure' and Jhar/Jhara that means 'Stream'. 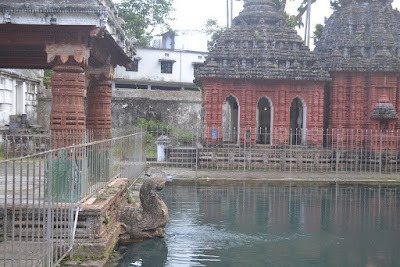 Nirmala Jhara means 'pure stream'. The water flows from the foothills of the Mt. 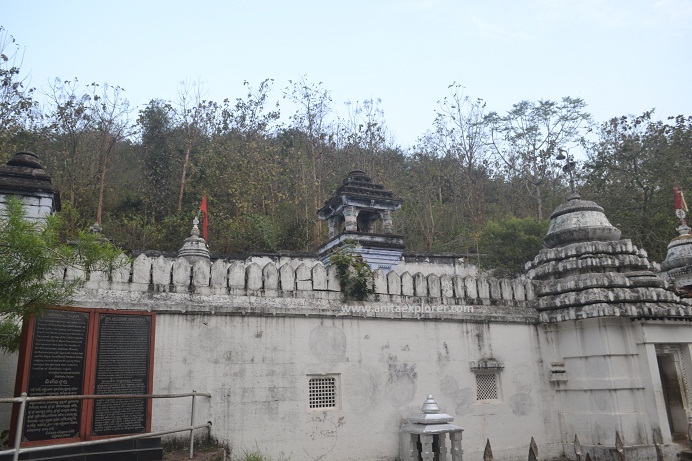 Marua of the Badaghati Mountains in Eastern Ghats. 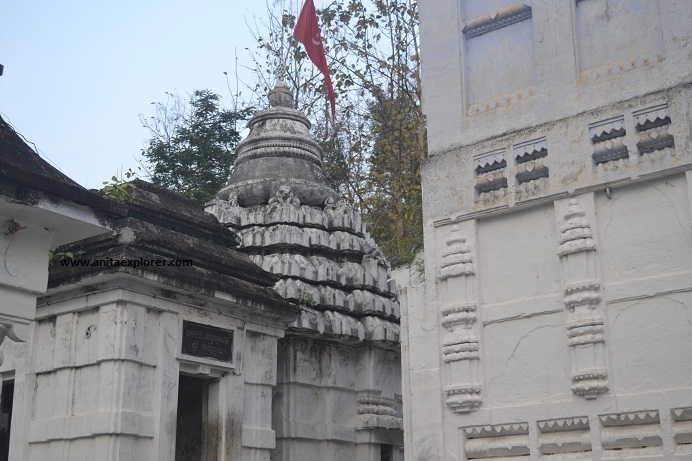 Nirmala Jhara is located in the lap of nature and the surroundings are very peaceful. 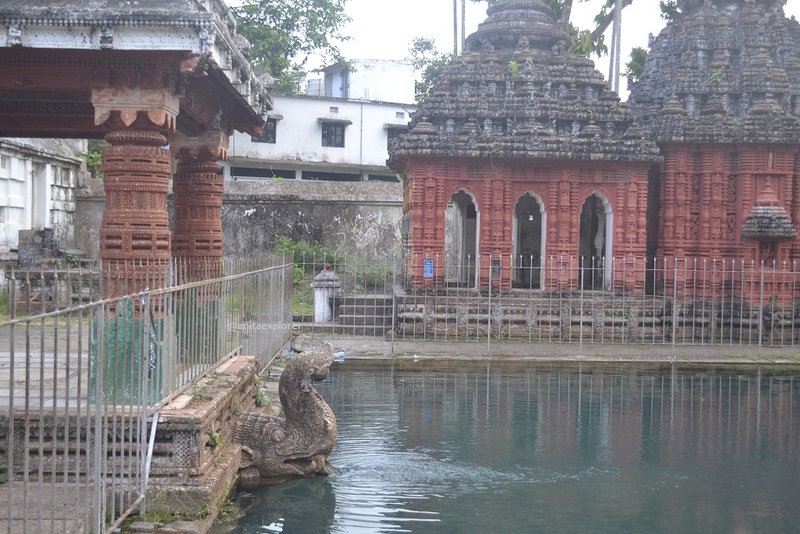 Spring water is channelised to kund (pools/tanks) in the complex. 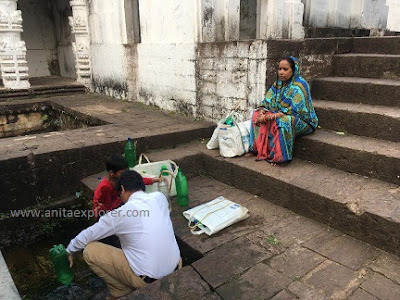 Visitors like to taste the clean water and some even fill their bottles to carry back home. During our visit, we found a father-daughter-duo resolutely filling bags with plastic-bottles full of the Nirmala Jhara water. Nirmala Jhara has many temples and beautiful sculptures. Sri Nilakantheswara is the main deity. 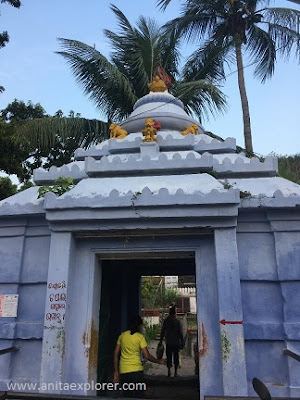 There are temples dedicated to other goddesses and gods like Goddess Bimala, Sri Radhakrishna, Sri Jagannath and Sun-God Surya. The Dasa Abatar (Dus Avatar i.e. 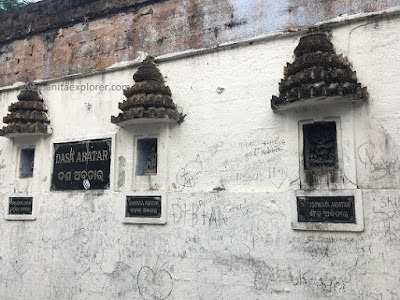 Dashavatar of Vishnu) are on the walls. 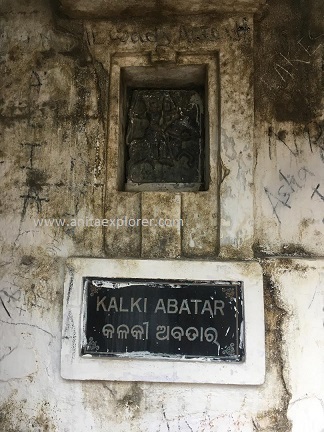 I was sad to find the scribbling on the walls by the enemies of heritage. Will 'Kalki Abatar' put some sense regarding heritage conservation? Do you want to experience tranquility and bliss? 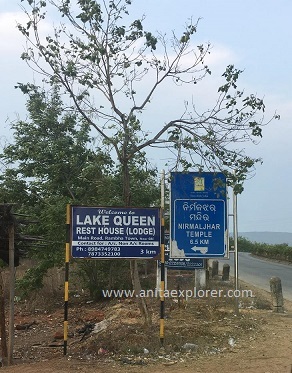 Head to Odisha and its lovely places like Nirmala Jhara! Note- I had visited Nirmala Jhara many years ago when I was in school. 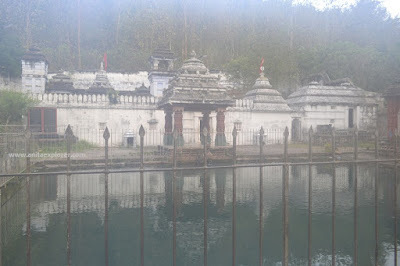 I got an opportunity to revisit it recently thanks to Swosti Travels. Post for my second #atozchallenge. N for Nirmala Jhara. Lovely!!! 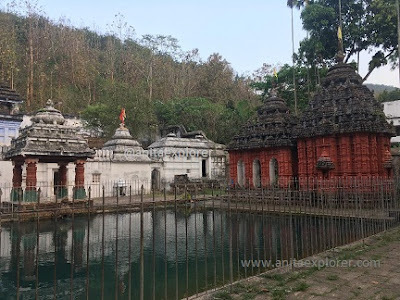 Even though I hail from Ganjam and have heard about this place N-number of times, I have never visited this place. Now putting it in the Bucket... Wonderful Images. Great to read about Nirmala Jhara, Beautiful place.